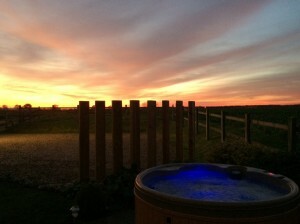 Formerly an agricultural barn, Kings Beck Barn was renovated into a beautiful four-bedroom holiday home in 2010. The barn is well equipped and beautifully furnished, featuring a spacious country kitchen, 2 sitting rooms & 4 stunning bedrooms. The enclosed garden includes 2 terraces, a breakfast terrace & a large terrace where you can enjoy al fresco dining taking in the stunning countryside views. 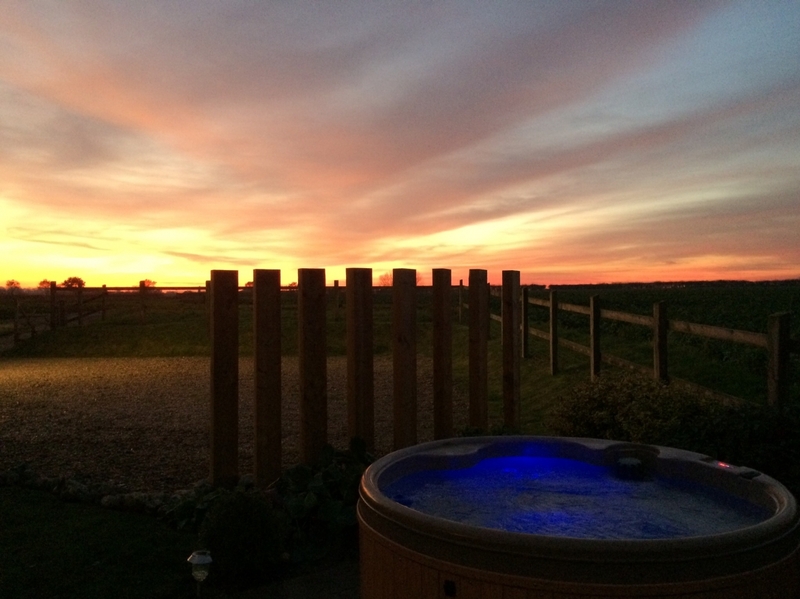 Relax in the hot tub and enjoy the large blue skies, listen to the wildlife and take in the fabulous sunsets. 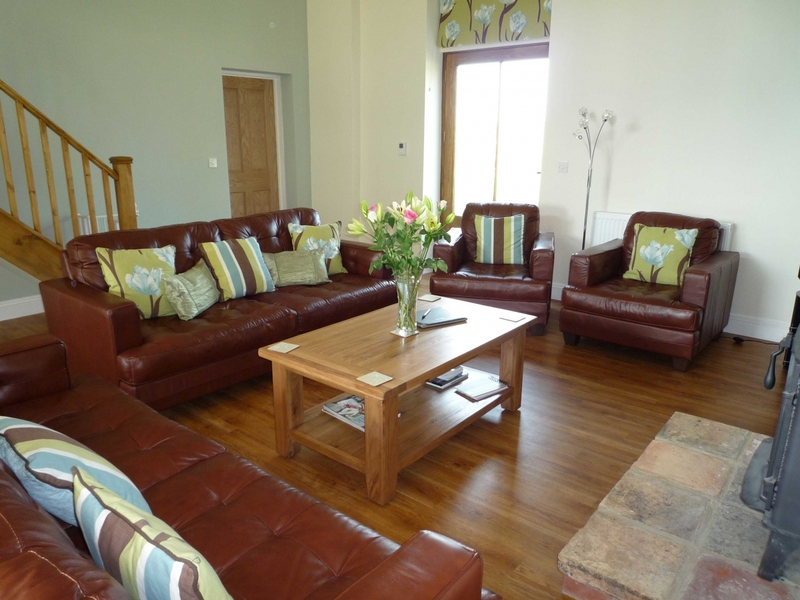 48″ Smart TV, DVD player, Bluetooth speaker, 2 sofas, 2 armchairs, dining table with seating for 12. Features a wood burning stove (wood supplied), vaulted ceiling with exposed beams. Fully equipped with an electric range cooker, dishwasher, fridge/freezer, separate larder fridge, microwave and coffee machine. Includes a central island and has everything you would expect in your kitchen at home including all cutlery, crockery and glasses (including champagne and wine). 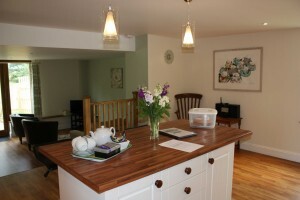 Leads from the kitchen and includes a Freeview TV, DVD player, sofa, 2 armchairs, Table football. 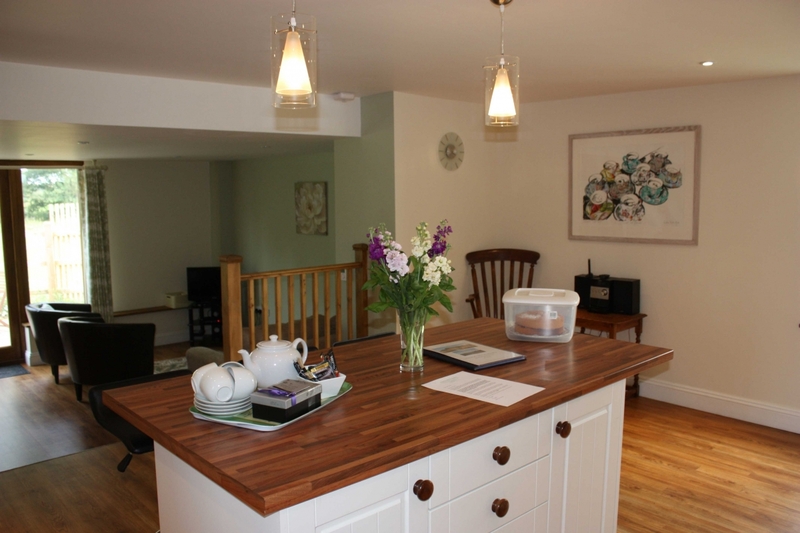 Equipped with washing machine, tumble dryer, iron & ironing board and separate utility sink. Entrance porch with room to hang coats. Separate WC. Super king sized double bed with ensuite shower room. Super king sized double bed with ensuite shower room, Freeview TV and features a vaulted ceiling with exposed beams. Zip and link beds which can be made into a King sized double or left as two singles, together with a 3rd single bed with ensuite shower and features a vaulted ceiling with exposed beams. Note: 2 additional Z-beds are available but are charged separately and can be added at the time of booking. A large enclosed garden which includes 2 patio areas; a breakfast terrace off the kitchen/snug and a dining terrace off the living room which has a round rattan table and chairs. Charcoal BBQ and private Hot Tub. The lockable garage features a table tennis table. There is secure off road parking for 5 cars. Guests are welcomed with a homemade cake, a bottle of wine chilling in the fridge, welcome tea, coffee, sugar and milk and fresh flowers. 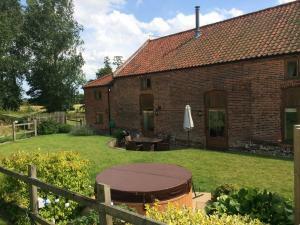 The property has oil fired central heating and underfloor heating on the ground floor. We provide 100% Egyptian Bed linen and Bath & Hand towels for each guest together with complimentary Cole & Lewis toiletries. Free WiFi is available throughout the property. For those travelling with young children we can offer 2 highchairs, 2 travel cots, stair gates, a monitor, chilrens cutlery and crockery aswell as a selection of U rated DVDs, books and games. We welcome up to 2 well behaved dogs (charged at £20 per dog for cleaning purposes and can be added when booking).